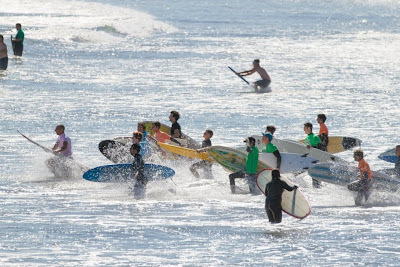 Cape Breton Tourism Spotlight: Point Michaud Surf Classic Starts Today!!! Come On Down And Lend Your Support. Point Michaud Surf Classic Starts Today!!! Come On Down And Lend Your Support. The 10th Annual Point Michaud Surf Classic takes place today. Come on down and cheer on our surfers as they test their skills as they compete in the different divisions at Point Michaud Beach. I will be there to cheer on one of our own tourism operators from Kayak Cape Breton, Eberhard Witt, as he competes in the Kayak division. Hope to see you there!